Apparently, the secret is out... I'm a Whovian. Here's a picture of my Christmas haul this year - all gifts from different people! That is a fine assortment of Who items. Your family and friends obviously have excellent taste! I'm surprised there weren't any duplicates! Who knew there was so much Who stuff out there? 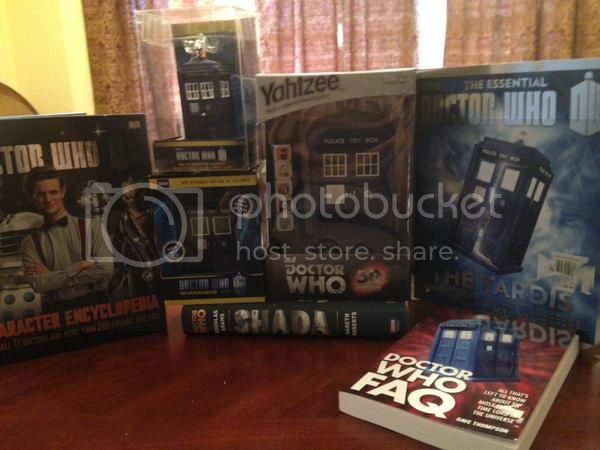 Looks like a Doctor Who Christmas!